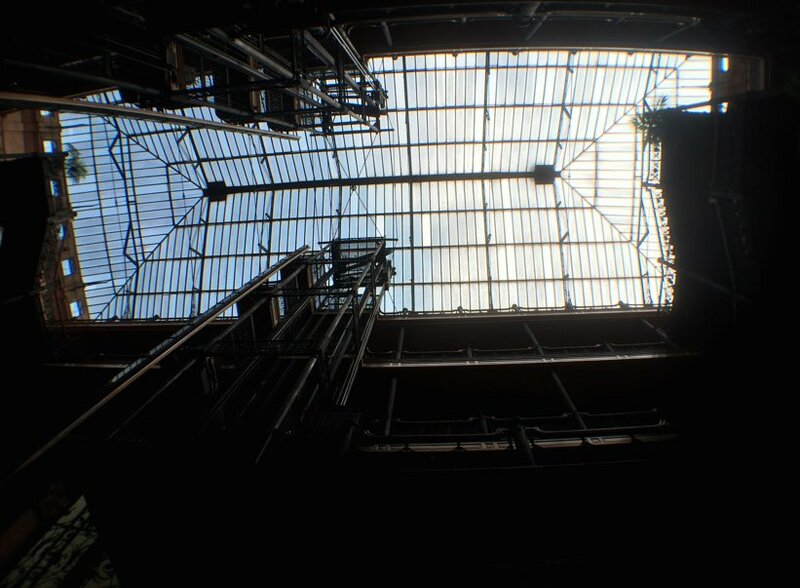 Although you may not think much of the Bradbury Building as you pass by along Broadway, when you step foot inside, I venture to say you’ll be fairly impressed. As you enter the interior court for the first time you’ll be awed by a dramatic flood of light that pours in from the plated glass ceiling above. The interior features and level of detail is nothing short of spectacular, with highlights including the marble stairwells, Mexican tile, ornate iron railings, and a set bird-cage style elevators unlike almost anything else you can find in L.A. Warning: Embeds API is over quota and should be upgraded. This courtesy message disappears in 1 min, your readers won’t see it. 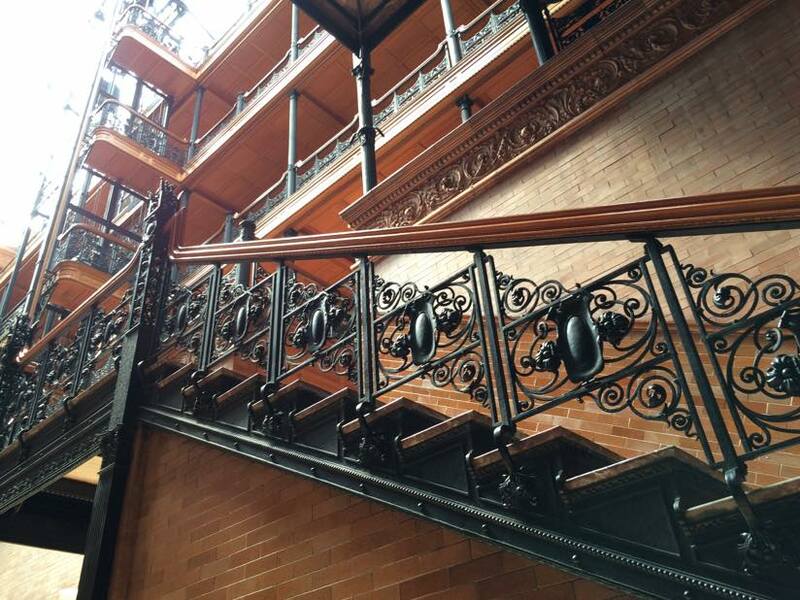 The Bradbury Building was constructed in 1893 after being commissioned by gold-mining millionaire Lewis L. Bradbury. The original design was done by Sumner Hunt with the project being completed by a relatively young and inexperienced draftsman named George Wyman. What is clear is that the building has created a lasting legacy unlike any other landmark in the city of Los Angeles. 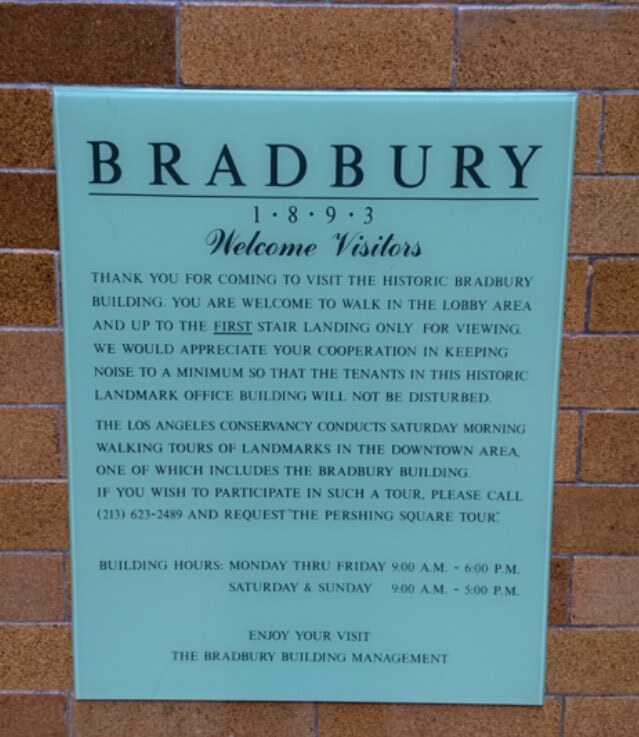 Because of the unique design The Bradbury has been featured prominently in many hollywood films over, perhaps most famously in Blade Runner and 500 Days of Summer. 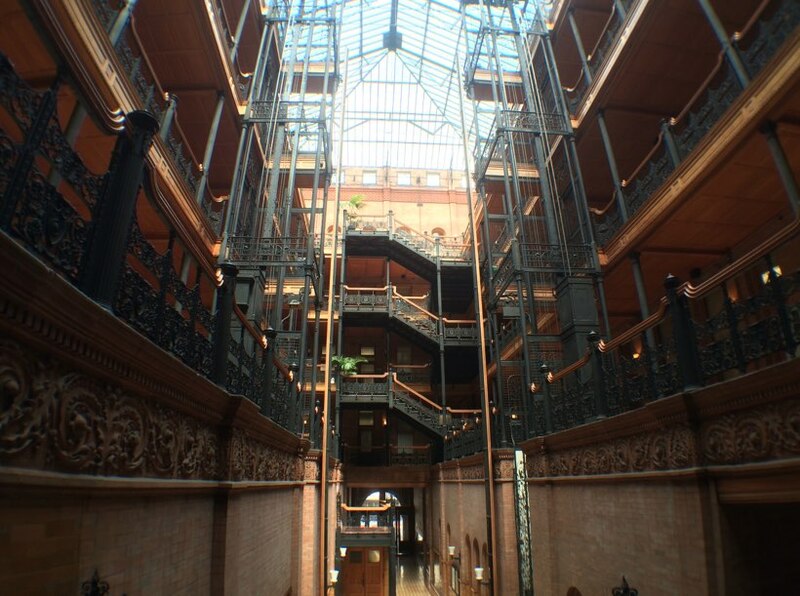 While the Bradbury Building is listed as both a National Register of Historic Places (1971) and has been designated a National Historic Landmark (1977), it is still in use today as a working retail/commercial space. Ok, now that we've established this building is of some historical significance, let's take a look at some pictures! The great thing about getting inside the building is that it's free. The downside is you can only go up to the first floor landing, but I guess it makes sense when you think about that there are working businesses there, and you can just have folks wandering in and out. For tours, there is a standard tour of the building offered by the Los Angeles Conservancy that takes place on Saturday mornings, but those tours don't give you any more substantial access to the building that a normal visit would offer. To that end, I'm putting in a call to the building management to see if there are any other more extensive tours offered (will update this article if I get word back). As it stands now, the building is open for public entry from Monday - Friday, 9:00am - 6:00pm and Saturday - Sunday, 9:00:am - 5:00pm. See photo I snapped of the hours below. On its own, exploring the building and snapping some photos at various vantage points may only take around 20 minutes, so it's not a destination you plan an entire day around, but if you happen to be in the Historic Core of downtown Los Angeles, you owe it to yourself to make a quick stop by. 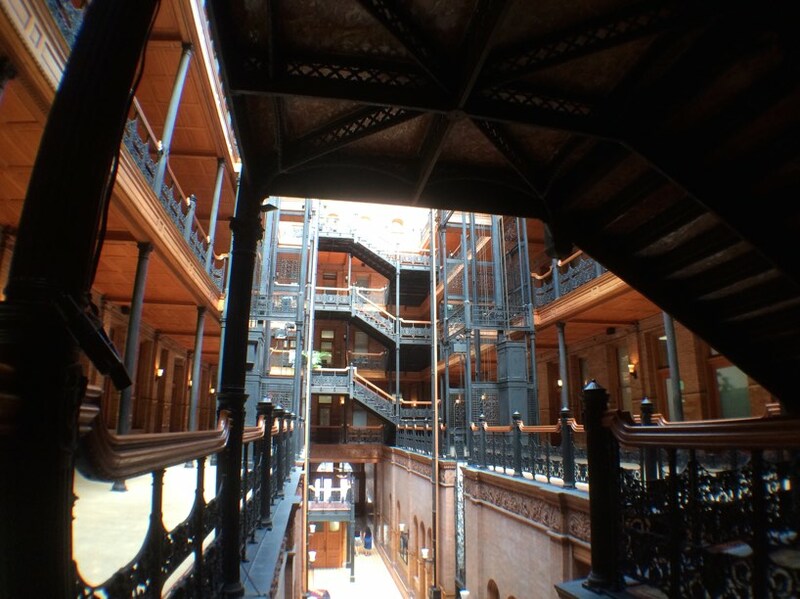 The Bradbury Building is located at 304 S. Broadway, Los Angeles, CA 90013. For more information, or to see available tours, check out laconservancy.org. You can also call (213) 623-2489 for more information.